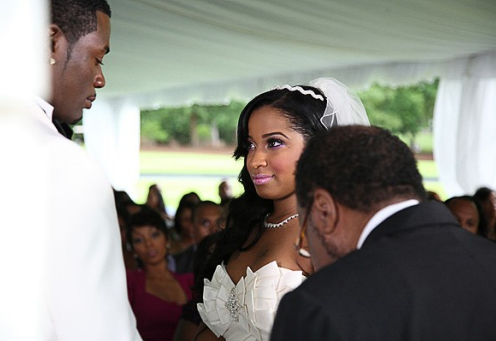 Toya and Memphitz have finally tied the knot! The wedding was beautiful! The best part of the wedding for me, was her make-up. Toya’s make-up was beautiful. From looking at the pictures all I see is pink. What’s different is the shade of pink that her make-up artist used. It seems like a pink with a hint of lavender, a true bubble gum pink. The pink also wasnt a sheer, translucent pink, it seemed more opaque. Her skin was flawless, matte and picture perfect. Her eyes stunning! Her brows seemed slightly lighter in color, but full, well-defined and contoured perfectly. Her eyeshadows looked like a combination of pinks, lightest in the inner corners. She was lashy, false lashes were added but not the natural looking ones. 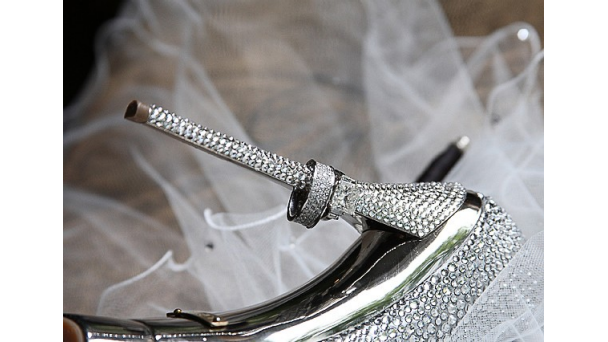 Her lashes were long, full and fabulous. Her top and bottom lid seem to be lined in black ( on the water line), which gives a slight smoky effect. Her bottom lid was also lined in pink, near her bottom lashes and blended/ smudged out so it didn’t leave a hard-line. Her cheeks and lips… PINK! Her cheek color seemed like a matte pink. Her lips were the perfect shade of opaque pink (it looks like the MAC Lady Gaga Viva Glam, Lipstick and Gloss,… but I might be wrong). Her overall make-up look… fabulous, not so safe like what we see in traditional bridal make-up. 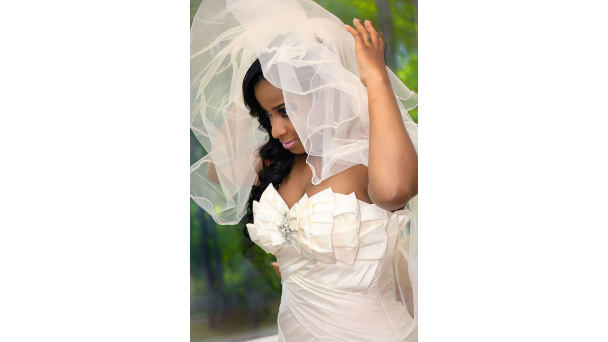 Toya’s make-up is categorized as Glamorous and HOT!